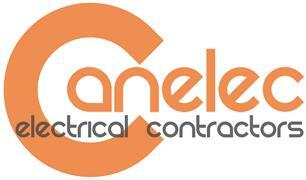 Canelec Limited - Alarms/Security, Electrician based in Bilsington, Kent. With more than 35 years' experience, Canelec Electrical is a rounded electrical contractor offering a variety of electrical services in Kent, Surrey, Sussex and the surrounding areas. We work with both residential and commercial clientele to deliver a comprehensive range of services, with a focus on electrical maintenance and lighting installation. With our local electrical services, you can bring your home, office or public building into the 21st century. Whether you've just moved into a new property or are looking to repair or replace decade-old electricals, we can help. Whether you're in an office, industrial unit or retail store, it's crucial that you maintain your electricals for the good of public and employee safety. To find out more about our services, please contact us and book an electrician in Kent and the surrounding areas for maintenance, repairs, lighting installation, underfloor heating and much more.